Vienna, Austria – 13th-17th February 2017 – The first international seven day Panantukan Concept seminar is held at the SAMI headquarter. The guests from all over the world have had the chance to join a very intensive training camp and reach their next level. Peter Weckauf and SAMI VIENNA invited students from all over the world to join the seven day training camp for Panantukan Concept. It was the first time a SAMI seminar was held for seven days straight, with the possibility to join for either seven, four or two days. Starting every day at 10 AM and ending at 4 PM the guests, from the United States, Canada, the United Kingdom, Spain, Italy, France, Switzerland, the Czech Republic, Slovakia and of course Austria were welcome to join classes of the regular SAMI Vienna schedule as well. Take the chance to try one of the other concepts Peter developed or see how a Panantukan class is set up and instructed. The seminar is especially for foreign students an opportunity to get a very intensive training experience, that shows aspects of the Panantukan Concept that aren’t as obvious as boxing techniques or the general understanding of human body mechanics. For example: the first three days of the seminar the warm up included either exercises to train balance skills, improve reaction time or coordination. Although all these things are part of the concept and are also trained through the techniques the concept contains, most people rarely work and perfect those skills separately. Which shows another benefit of the seven day seminar: There was a lot more time to work on technical details, to repeat the moves which have been taught and obliterate mistakes. A lot of the guests do not have a SAMI club nearby and use the SAMI distance training to stay up to date and get to know the different techniques. This of course also means that some of them have to train alone or in pairs, but without an instructor. So on several occasions Peter would give the students, who partly were trying out as instructors the chance to focus on their teaching under the supervision of his highly skilled team, by mixing advanced and less experienced students among each other. Peter would also let the two black belts Robert Exl and Georg Platzer take over the class, as well as instructors from other SAMI schools. 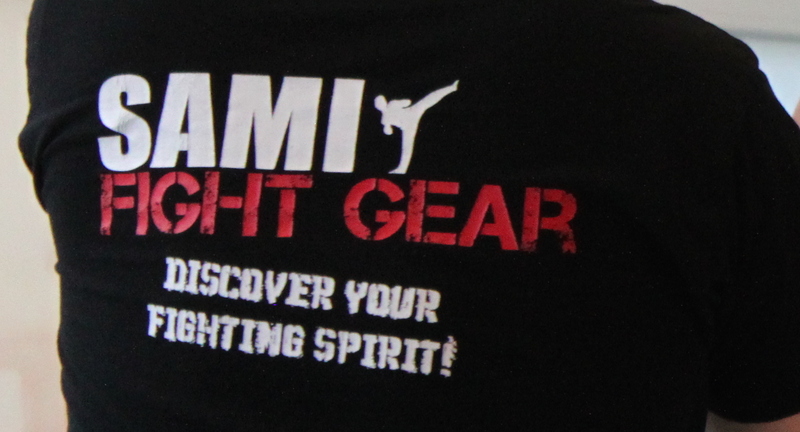 Through practicing boxing techniques, covers, manipulations, hubuds, entries and trapping gates, concentrating on your opponents weak spots, combining coordination, balance and reaction skills and being put in stress situations (like being attacked by more than one person) the class was being prepared to put these elements into own drills or use them in light sparring sessions. At the end of the seminar it was possible to take the exam to level up as a student as well as an instructor. It has been an amazing week, in which it was possible to connect with fellow international students, reach new goals in training, push yourself to personal limits and learn about SAMI combat systems. After seven days of high quality training SAMI Vienna Panantukan seminar ended, leaving its guests with a joyful feeling of personal progress and growth.